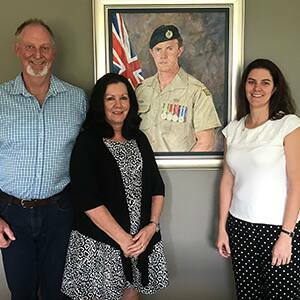 The parents of Sapper Rowan Robinson will light the cauldron during Wednesday night's Anzac Day Eve pre-game ceremony. You probably don’t know the story of Robinson, but you should. 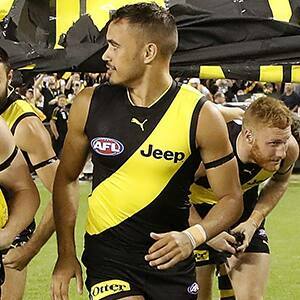 Promising Richmond recruit Sydney Stack continues to make an exciting first impression as a Tiger. 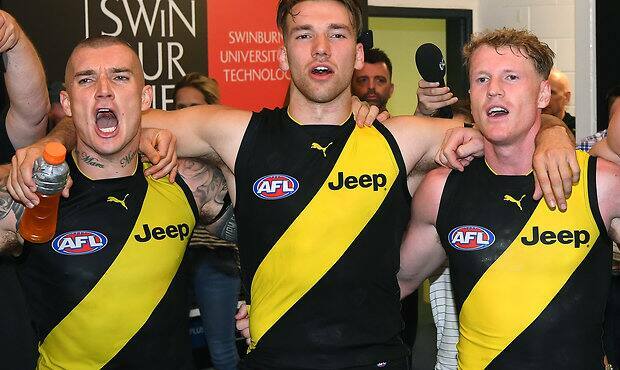 Although champion key backman Alex Rance is recovering from a serious knee injury, he continues to exert a significant influence on his teammates. 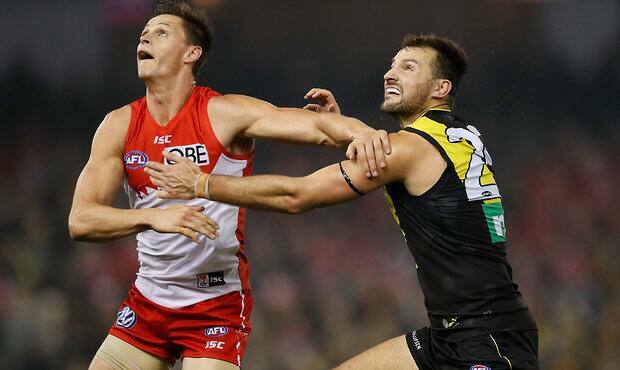 See all the best photos from Richmond's Round 5 win over Sydney at Marvel Stadium. 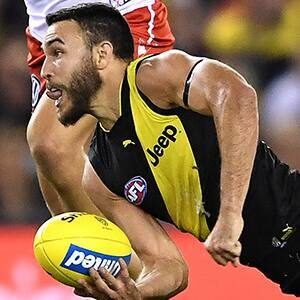 Stand-in Richmond skipper Shane Edwards is relishing his new role of half-back, producing a superb performance in Saturday night’s win over Sydney at Marvel Stadium. 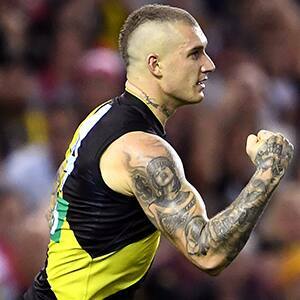 Richmond star Dustin Martin returned to his best on Saturday night, his three-goal haul and on-field presence providing a valuable boost in Richmond’s 22-point win over Sydney. Noah Balta has been used across the backline, in the ruck, and up forward, prompting Nick Vlastuin to dub him "postcode nowhere”. 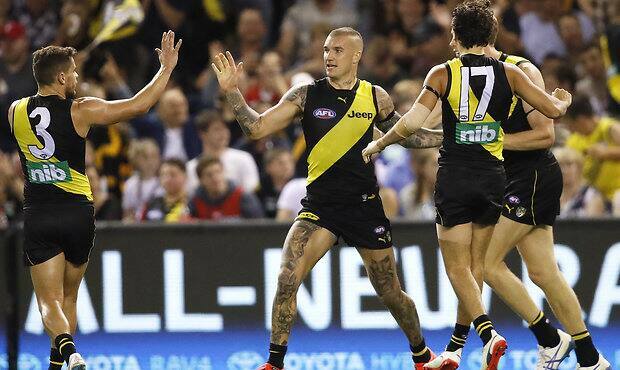 Dustin Martin's emphatic return from suspension and an underwhelming patch of form, was the icing on the cake for jovial Richmond coach Damien Hardwick on Saturday night. 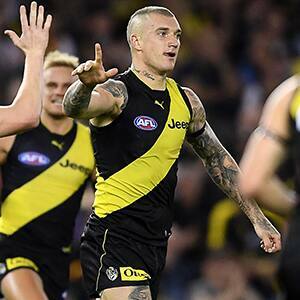 A trademark, high-pressure Richmond effort has delivered an impressive 13.11 (89) to 10.7 (67) win against Sydney at Marvel Stadium on Saturday night. 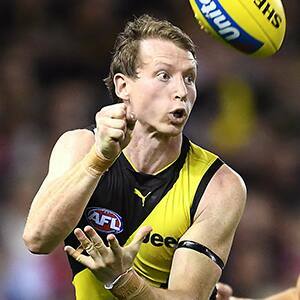 Richmond coach Damien Hardwick has acknowledged that the Tigers will be in for a tough battle when they host Sydney at Marvel Stadium on Saturday night.